Rich Czyz is a Principal at a 2nd-3rd Grade School in New Jersey. Trevor Bryan is a K-5 Art Teacher in a New Jersey Elementary School. Donna Donner is a 5th Grade ELA Teacher in a New Jersey Elementary School. On a cold, snowy day in January, I was presented with extra time that I wouldn’t normally have on a weekday. I realized that I needed to use the time productively, and decided to finally make good on a long standing goal. For a little more than a year, I have kicked around the idea of starting a blog. My idea is to share with other educators, and to extend the connections that I have already made through social networks. I would like to create a forum for educators that inspires ideas and learning. I would like to be able to reflect on my own learning and to continue to learn from and be inspired by others. So, as the snow falls, I want to start my blog by explaining the origin of the name: Four O’Clock Faculty. When I started my first teaching job about 12 years ago. 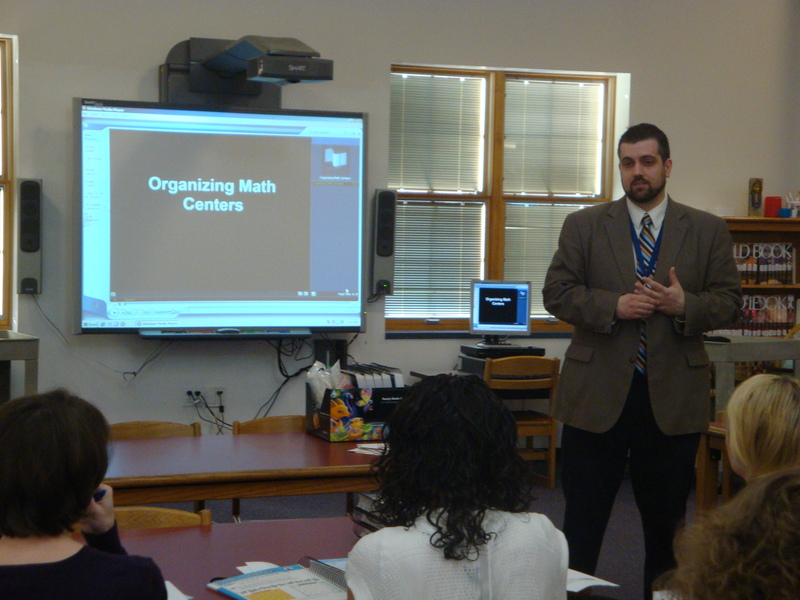 I was hired in late August to teach math and science to fifth grade students. I was fortunate enough to meet another teacher who was also new to the district (although he had a few years experience in another district). Trevor Bryan was the art teacher in the elementary building where I was hired. Over time, Trevor and I became good friends, and although our career paths have diverged over time, we still talk quite often about teaching, learning and improving as educators. For Trevor, the framework for educational ideals came from his father, who enjoyed a successful career as an educator. Trevor would often share stories or quotes from his father. One such story resonated with me, and became the inspiration for this blog. In this spirit, the Four O’Clock Faculty blog has been established as a site for those educators looking to improve schools and learning for themselves and their students – to make schools the best that they can be. Can you follow your posts by email? Yes. I will add you to our mailing list! Can I please be added to your mailing list as well? I would love to be added to your e-mail list as well! I would like to be added to your mailing list as well. Could you PLEASE add me to your mail list? The address is blocked from Google Groups. Is there another address we can add for you? Thank you for sharing! Trevor and I are proud that we are able to share in that vision of making education the best it can be! So glad that you were able to learn of the website and share the story with Trevor’s parents. Thanks again!